If you own a business in Arizona, and your creditors are closing in on your business, you need to contact Thomas Law Office as soon as possible to meet with Mr. Thomas and obtain answers to your questions about bankruptcy. The bankruptcy options for your business include chapter 7 and chapter 11. These will be discussed at length during your first visit with Mr. Thomas. Bankruptcy protection for businesses usually is a more complicated process than it is for individuals. 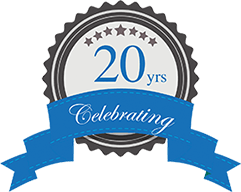 Mr. Thomas has handled numerous business bankruptcy cases and can navigate your business through the bankruptcy process. Chapter 11 is used when the business is seeking to reorganize its debts and emerge from the bankruptcy process as a healthy, viable company. Chapter 7, on the other hand, is a bankruptcy alternative for the company that wishes to cease operations and turn over the finalization process to the Arizona bankruptcy court. There are often advantages of proceeding in this organized manner rather than permitting the business’ creditors to engage in a feeding frenzy, like a bunch of piranha devouring its prey. 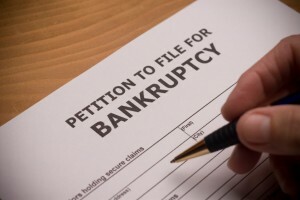 Declaring bankruptcy can be a way to obtain tax benefits and other advantages that may not be available if the owners opt not to file for bankruptcy protection. Often a corporate bankruptcy for a small Arizona business is filed in conjunction with a personal bankruptcy by its owners, typically because the businesses debts may have been guaranteed by the owners of the Arizona business. It is important that you contact the bankruptcy law firm of Thomas Law Office to assist you with your Arizona small business bankruptcy. Even if you merely want to find out answers to your questions about bankruptcy options rather than file for bankruptcy protection in the Arizona bankruptcy court, talk to our bankruptcy lawyers today before you face unintended consequences of waiting too long to obtain appropriate bankruptcy information.